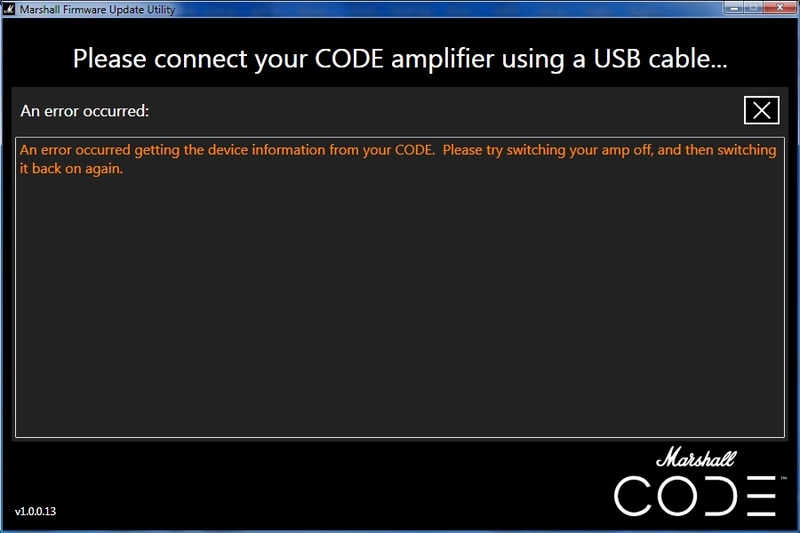 Firmware updater on Windows 7 PC not very stable. I've downloaded the firmware updater onto my Windows 7 (most recent updates loaded) PC and it seems that there is no eligant way to close the updater after use. I had to use ProcMgr to force the updater to shutdown. I also found that unless you do things in the correct way - fire up the updater tool before plugging in the USB, it seemed to get very confused - again I had to use procmgr to close it down. Once this error has been thrown then the updpater will not close properly without going into task manager and forcing its process to end. This is on windows 7 but I'm guessing it will be on all versions. Even if the USB stream recovers and it looks like the updater is working and talks to the code it then will not close properly without taskmanager. We will pass this feedback on to our team and look to resolve this. Apologies for any frustrations caused.